Nachdem nun Hulkageddon V einen Monat lang Schrecken und Terror in den sicheren Gebieten New Edens verbreitet hat, ging das Event gestern ganz offiziell zu Ende. Viele Miner freuen sich und holen ihre eingestaubten Mining Schiffe aus den Hangars. 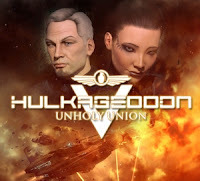 Aber bitte mit Vorsicht, das Event ist zwar zu Ende, doch die Goons bezahlen auch weiterhin für jede gekillte Hulk und Mackinaw. Goonswarm Federation: Sponsoring Emergent Gameplay! "I am delighted to announce that Goonswarm Federation will be increasing its support to the broader EVE community - to any player, not just those in our alliance, even those who are hostile to us - by continuing our sponsorship of the "Hulkageddon" player event indefinitely. Hulkageddon V has been the most successful in history, partially because of our sponsorship subsidizing independent participants at even the most casual level. This has brought the community together as never before - and we're going to keep giving back to the community even though the official contest has ended! 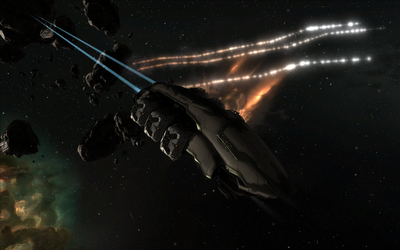 We will continue running our automated killboard system, and - just as during the event - for every block of 10 exhumers you destroy, Goonswarm Federation will send you 100m isk. 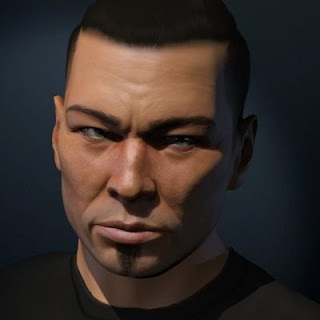 You don't even have to do anything to apply for the isk, it's entirely automated, allowing you to focus completely on ganking - our effort-free gift to those brave players who make EVE unique and interesting. If you somehow missed Hulkageddon and would like to consider exhumer ganking as a profession, check out the 'Getting Started' tutorial here. Even casual ganking can rack up 10 kills in a day! So here's to you, Hulkageddon participants! You keep making this wonderful game great, and we'll foot the bill - this one's on us!" Ganz besonders gefallen mir die neuen Bomber Modelle. Da weiß man gar nicht, in welchen man als erstes einsteigen will. Endlich sehen diese Schiffe ihrer Aufgabe gebührend aus. Lediglich die Hound sieht für mich etwas "mager" aus. Die restlichen Bomber sind kleine Meisterwerke. Mit dem neuen Inventory kämpfe ich noch ein klein wenig und mit all den anderen Features will/muss ich mich erst noch auseinandersetzen. "DUST 514 Closed Beta Invitation: Suit up, merc!" Darauf hatte ich lange gewartet. Gleich anschließend und voller Vorfreude die eingestaubte PS3 angeworfen, der Anleitung gefolgt und schon kurz später auf den Schlachtfeldern New Edens kräftig mit gemischt.